Carpal Tunnel Releases are commonly undertaken to relive pressure on the nerves that travel through the wrist to the hand and can give relief from symptoms such as pain and pins and needles. 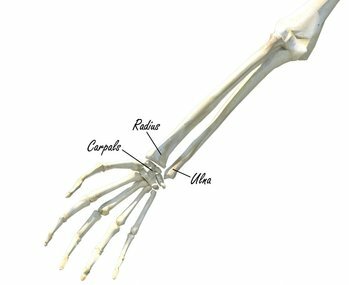 The wrist joint is a synovial joint that demarks the area of transition between the hand and forearm. 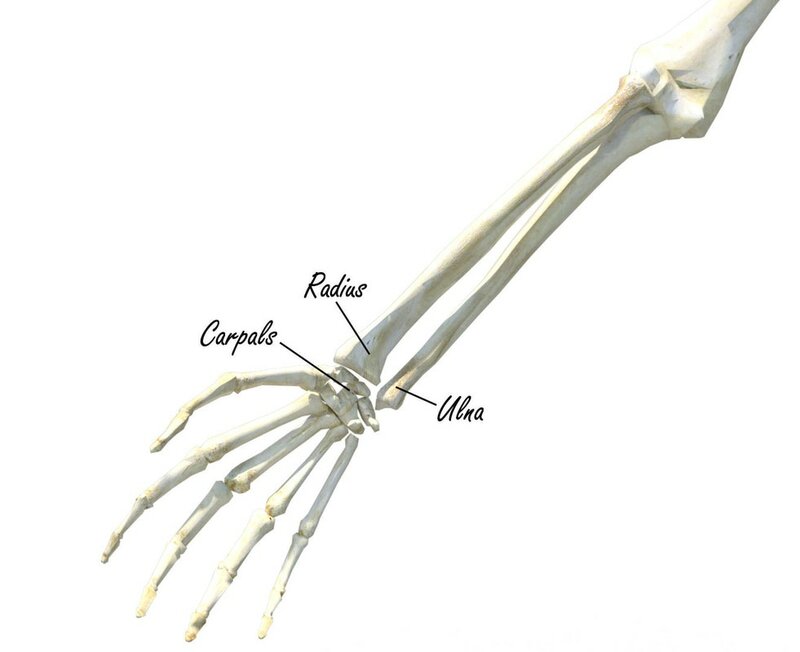 Interestingly, the ulna is not seem formally as part of the wrist joint due to its articulation (joining) with the radius rather the carpals (small bones in the hand) and this is why it is also known as the radiocarpal joint. The retinaculum can be seen on the left hand running horizontally like a white bracelet. This image does not show the nerve itself but gives you an idea of how the compression could be caused structurally. Carpel tunnel syndrome occurs when the median nerve is compressed at the point it passes the front of the wrist, leading to pain, numbness, tingling and weakness of the hand and arm. The nerve passes through the canal in the wrist where the tendons of the hand pass to the fingers, and is called the carpel tunnel. If the tendons become swollen the nerve is compressed and pinched. These symptoms can ease with non-surgical treatment such as wearing wrist splints and use of anti-inflammatory medication. If conservative treatment is not successful it may be recommended to undergo a Carpal Tunnel Release (CTR). This involves making a small incision at the front of the wrist and the flexor retinaculum (a band of tissue covering the wrist bones and tendons) is cut and released to relieve pressure on the nerve. ​After this surgery the hand will be bandaged for several days and it is necessary to keep the hand elevated regularly for the first 48 hours to reduce the swelling. Exercises for fingers, elbow and shoulder can be commenced immediately. Once the bandages are removed the wrist can be exercised gently to avoid stiffness. It is advised to avoid prolonged demanding activities until the wrist is completely recovered which may take several weeks.